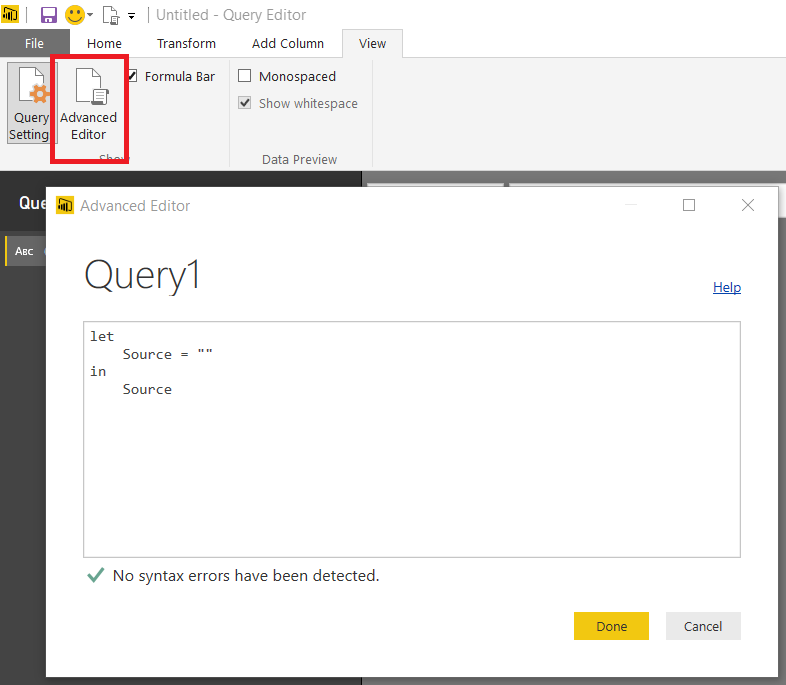 When you start writing M code for loading data in Power Query or Power BI, one of the first things you’ll do is open up the Advanced Editor for a query you’ve already built using the UI. When you do that you’ll see a very scary chunk of code (and at the time of writing there’s no intellisense or colour coding in the Advanced Editor, making it even more scary) and you’ll wonder how to make sense of it. 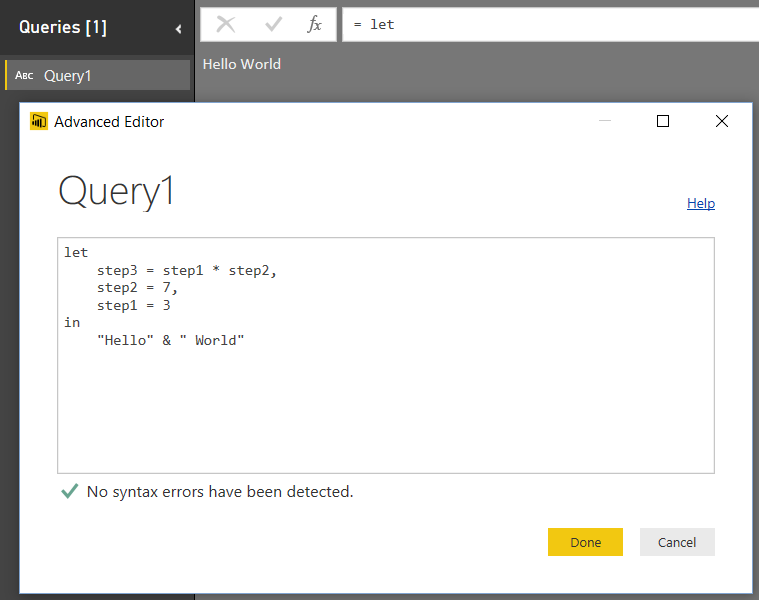 The first step to doing so is to understand how let expressions work in M.
Each query that you create in Power BI Desktop or Power Query is a single expression that, when evaluated, returns a single value – and that single value is usually, but not always, a table that then gets loaded into the data model. 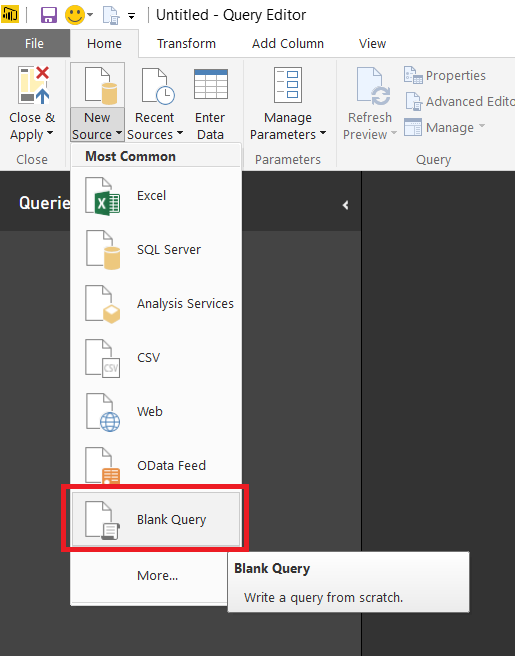 To illustrate this, open up Power BI Desktop (the workflow is almost the same in Power Query), click the Edit Queries button to open the Query Editor window and then click New Source/Blank Query to create a new query. 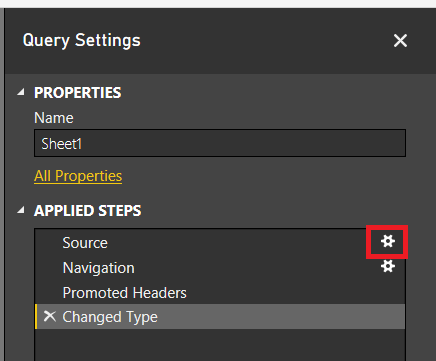 Notice how the ABC icon next to the name of the Query – Query1 – indicates that the query returns a text value. Congratulations, you have written the infamous “Hello World” program in M! The value that the let expression returns is given in the in clause. In this example the in clause returns the value of the variable step3, which is 21. The in clause returns the value of the variable step3, which in order to be evaluated needs the variables step2 and step1 to be evaluated; the order of the variables in the list is irrelevant (although it does mean the Applied Steps no longer displays each variable name). What is important is the chain of dependencies that can be followed back from the in clause. …returns the text value “Hello World” and doesn’t need to evaluate any of the variables step1, step2 or step3 to do this. 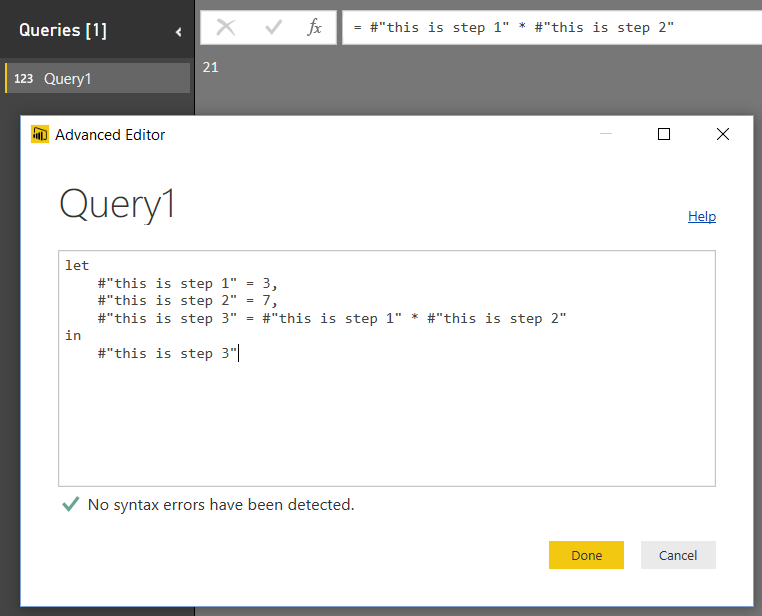 #"this is step 3" = #"this is step 1" * #"this is step 2"
Regardless of what the query actually does, you can now see that there are three variables declared here, #”Filtered Rows”, dbo_DimDate and Source, and the query returns the value of the #”Filtered Rows” variable. 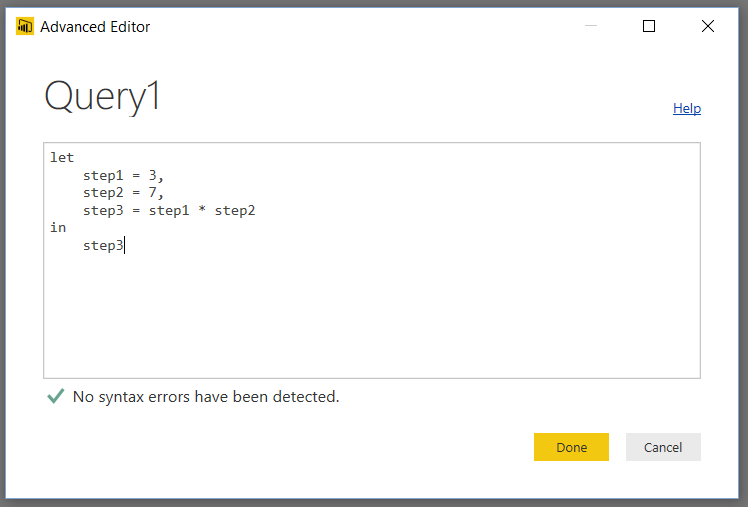 You can also see that in order to evaluate the #”Filtered Rows” variable the dbo_DimDate variable must be evaluated, and in order to evaluate the dbo_DimDate variable the Source variable must be evaluated. 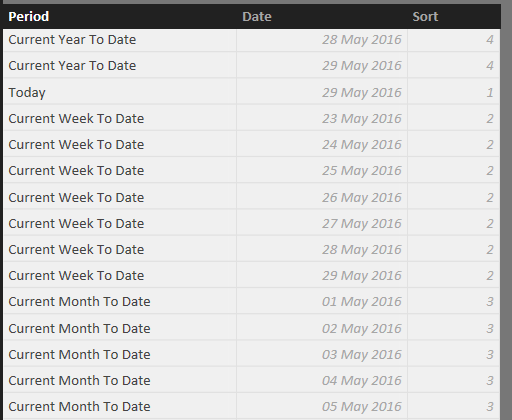 The Source variable connects to the Adventure Works DW database in SQL Server; dbo_DimDate gets the data from the DimDate table in that database, and #”Filtered Rows” takes the table returned by dbo_DimDate and filters it so that you only get the rows here the DayNumberOfWeek column contains the value 1. That’s really all there is to know about let expressions. It explains why you can do the kind of conditional branching that Avi Singh describes here; and also why, when I first tried to come up with a way to time how long a query takes to execute, I had to bend over backwards to ensure that all the variables in my let expression were executed in the correct order (though it turns out there’s an easier way of doing this). I hope you find this useful when writing your own M code. 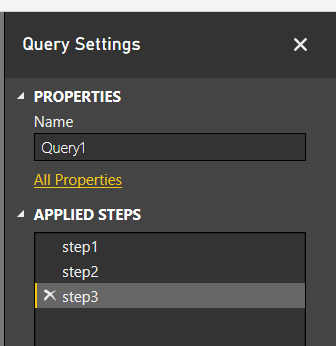 Query parameters are, in my opinion, one of the most important features added to Power BI recently. 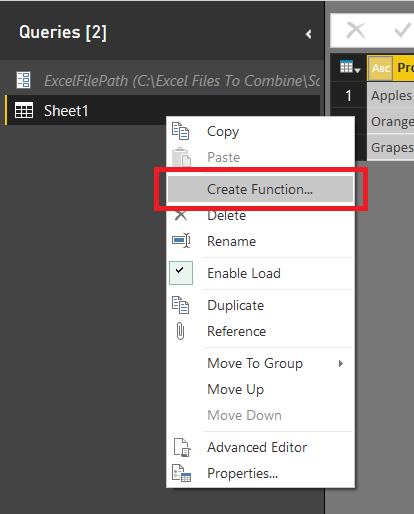 The official blog post describing how to use them is great (read it if you haven’t done so already) but it misses out one other cool new feature that I only discovered by accident the other day: it’s now super-easy to create M functions from parameterised queries. All of these examples involve writing M code manually. 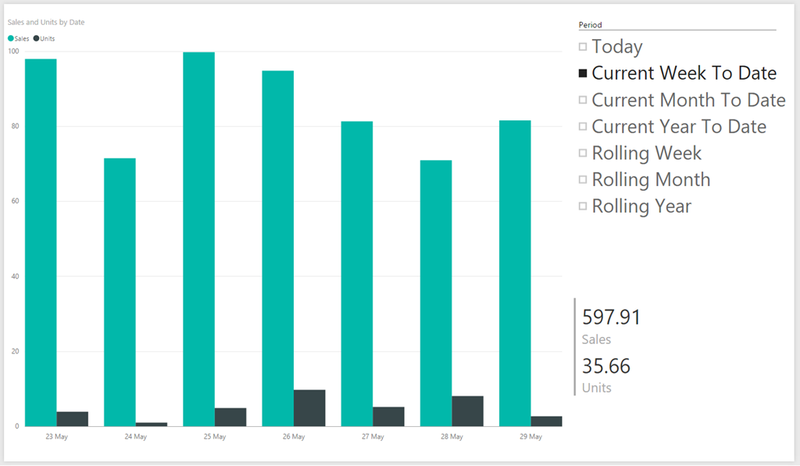 The big change in the latest version of Power BI Desktop is that you can do the same thing using just the UI. 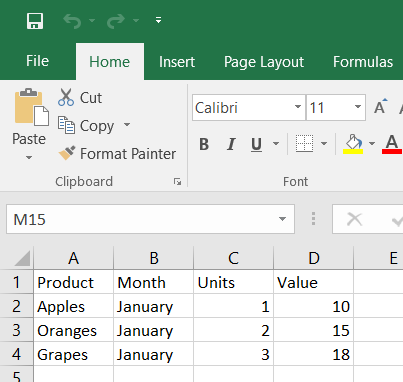 Let’s take the classic example of combining data from multiple Excel workbooks and update it to show how things work now. 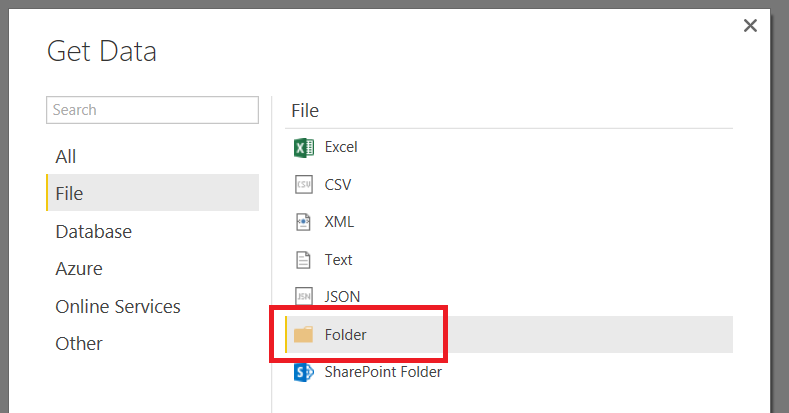 Where the original query points to the workbook whose path is returned by the ExcelFilePath query parameter, the new function takes a parameter (also called ExcelFilePath) to which any other query can pass any text value. 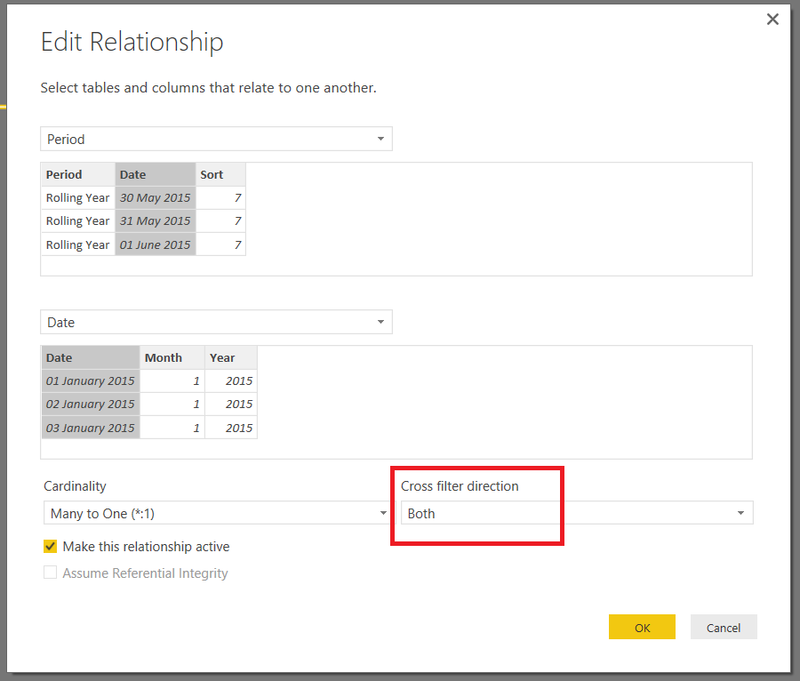 Now for the bad news: queries that use functions like this can’t be refreshed after they have been published to PowerBI.com (see also this thread for more details). 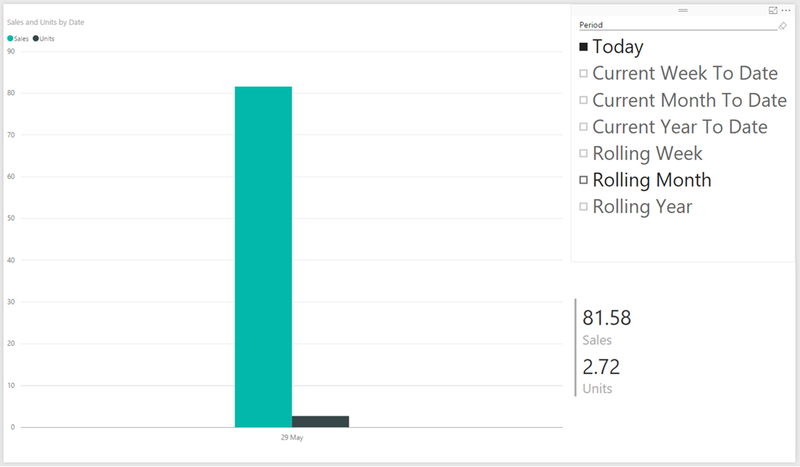 This could be why the functionality wasn’t publicised in the post on the Power BI blog. Hopefully this will change soon though…? So, to sum up, it’s the early stages of an important and powerful new piece of functionality. In the past, a lot of the times when I found myself writing M code it was to create parameterised queries and functions; in the future I’m going to be writing a lot less M code, which is great news. 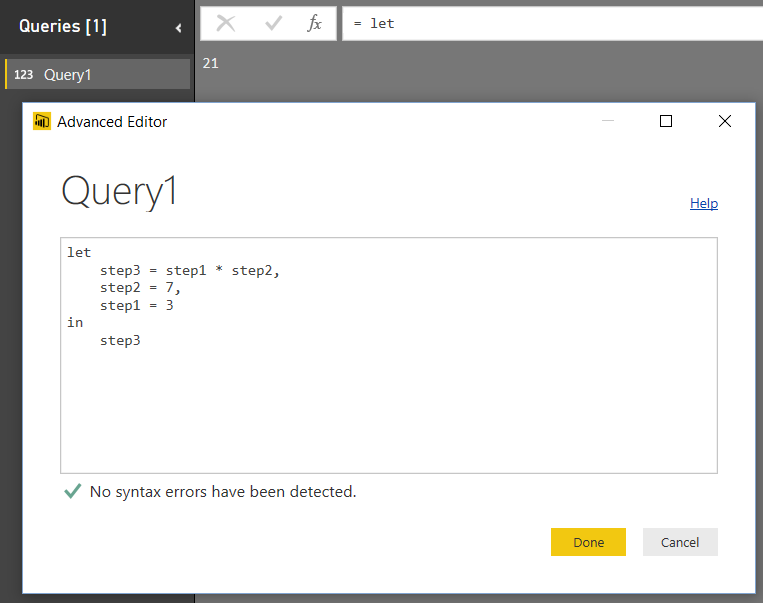 I can’t wait to see how this develops over the next few months and I hope it turns up in Power Query too. 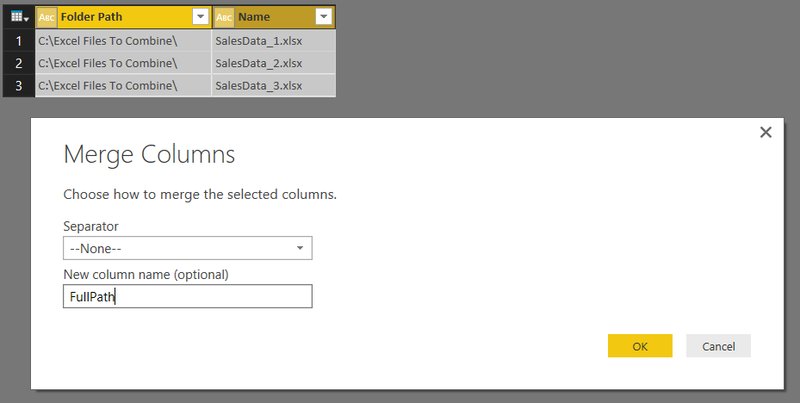 For me the most exciting new feature in Power BI in a long while is the appearance of Query Parameters for data loading. We have been promised an official blog post explaining how they work (although they are very easy to use) and in fact Soheil Bakhshi has already two very good, detailed posts on them here and here. What I want to do in this post, however, is look at the M code that is generated for them and see how it works. 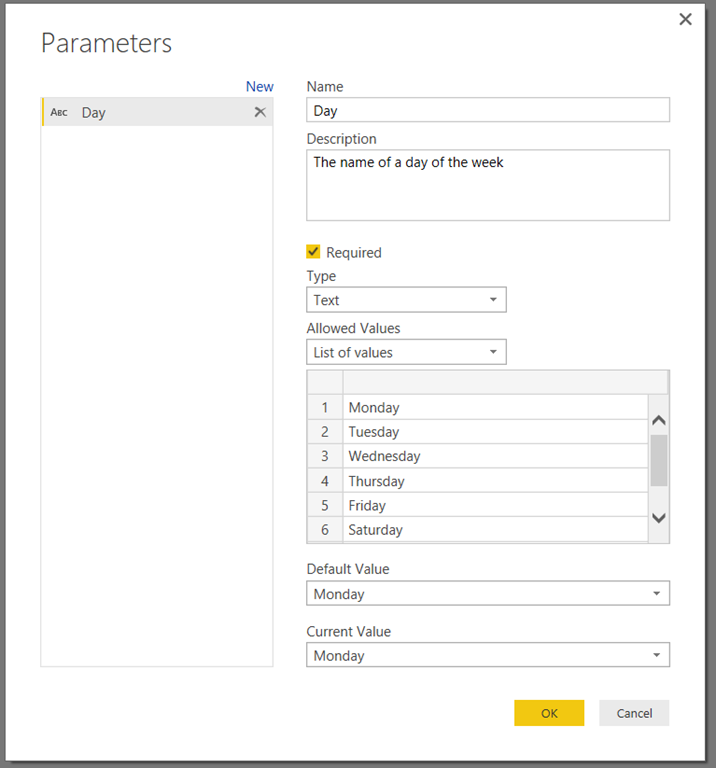 The filtering takes place in the #”Filtered Rows” step and you can see where the name of the parameter – Day – is used in the Table.SelectRows() function to filter the EnglishDayNameOfWeek column. This is nothing new in terms of the language itself because you have always been able to return values of any data type from a query, not just tables, and you have always been able to reference queries in other queries like this – in fact you can see me write the same kind of code manually in this video. What is new is that there is now a UI to do this and there’s no need to write any code. 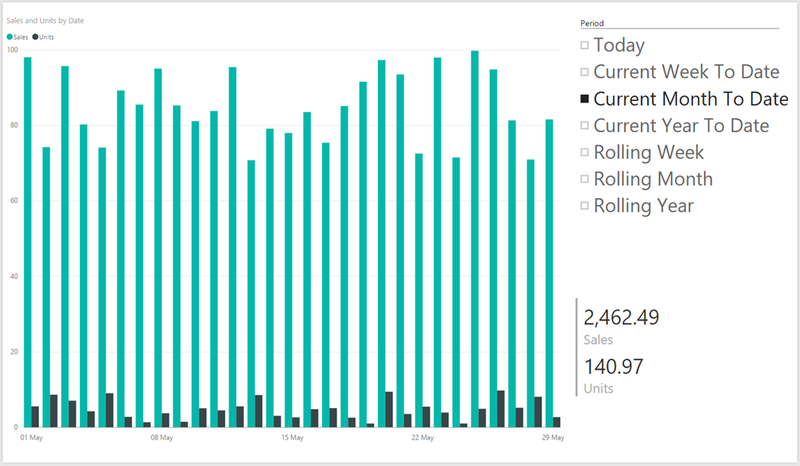 Personally, I think the Power BI team have done a great job here in terms of usability and clearly a lot of thought has gone into this feature. 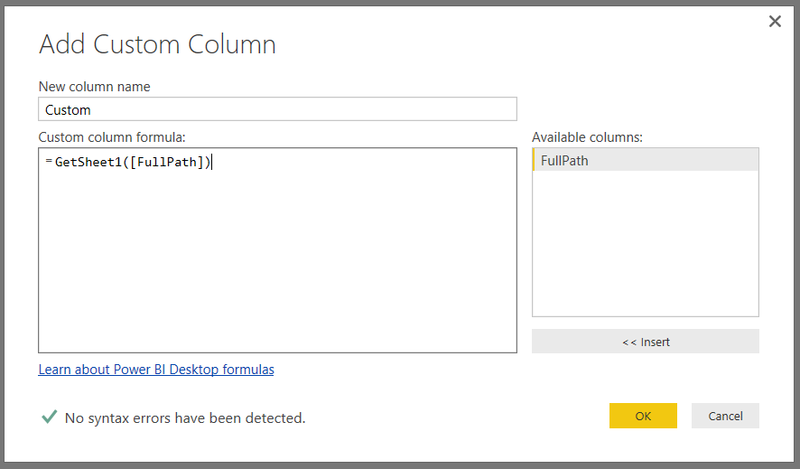 It doesn’t do everything I would want yet though: the ability to bind the list of available values to the output of another query and the ability to select multiple parameter values at the same time are obvious missing features (and ones that would be needed to match the parameter functionality in SSRS). 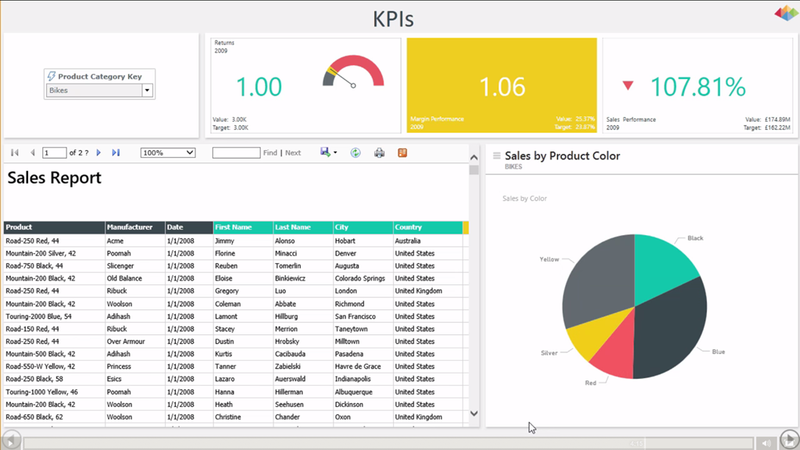 However I would not be surprised to see them appear in a future version of Power BI. 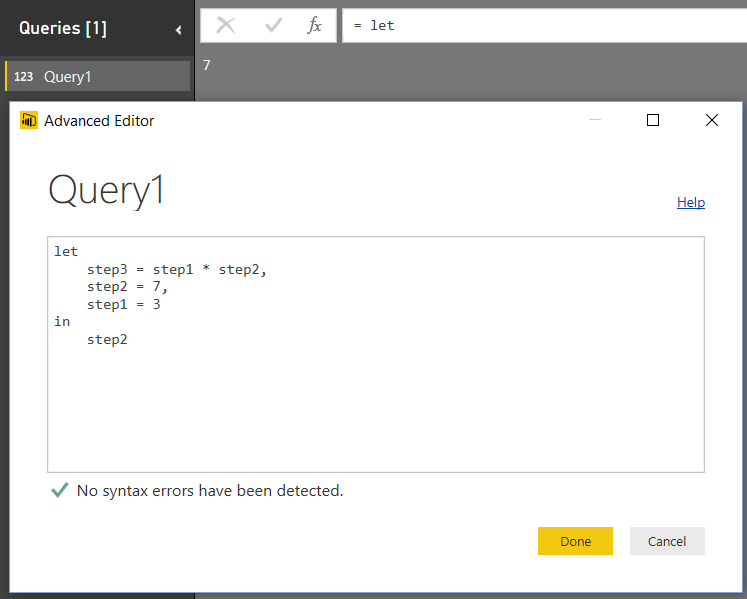 After seeing the code, I wondered whether I could edit the code in the parameter query to make it do more interesting things. 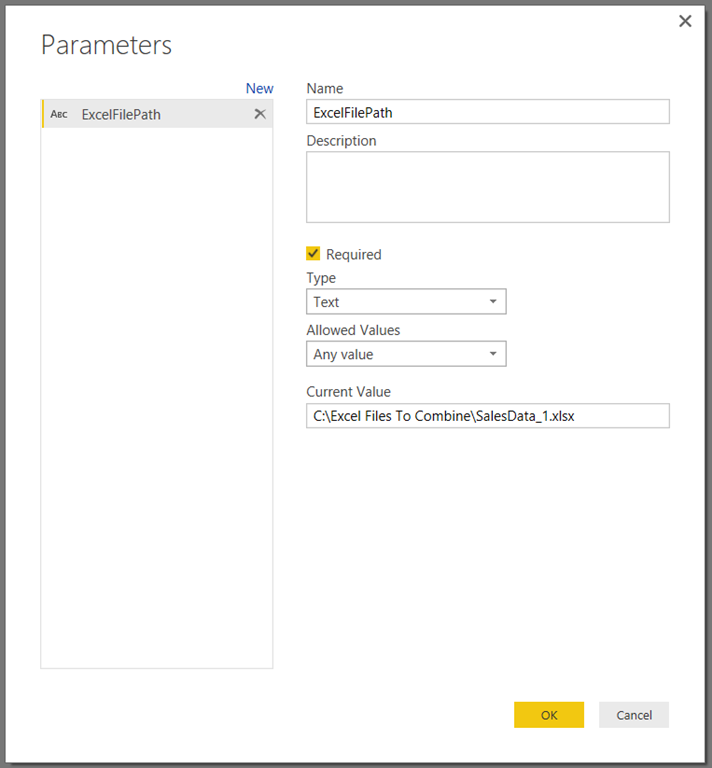 For example, even if the UI doesn’t support data-driven lists of available values for a parameter, it looks as though it should be possible to replace the hard-coded list with a list of values returned by another query. 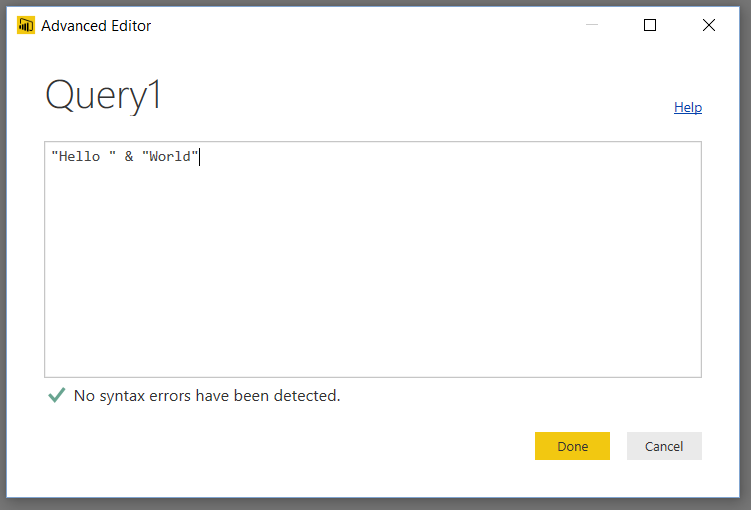 Unfortunately this does not work: any changes I tried to the parameter query code were either ignored or removed completely. A bit of a disappointment but again, hopefully this will be possible in a future version.